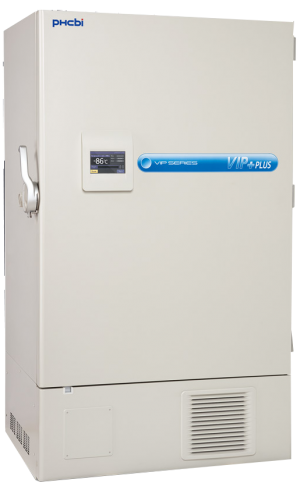 The VIP® Series ULT Freezers from PHC (formerly Panasonic Healthcare) offer leading performance with greater energy savings providing exceptional reliability and security for your irreplaceable biological samples. 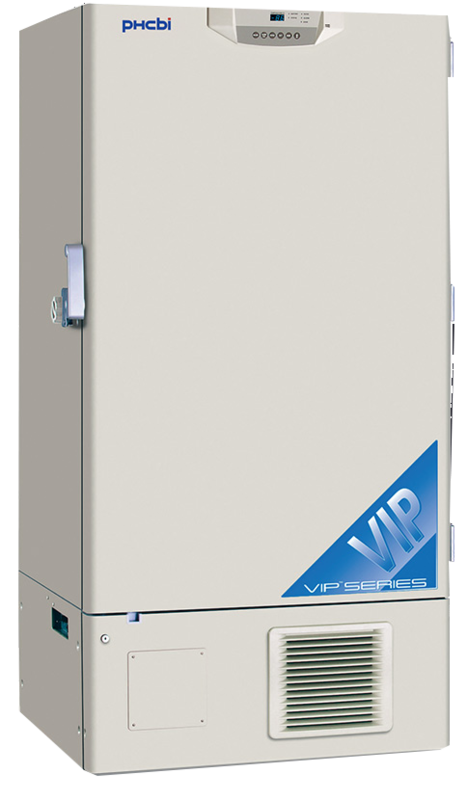 Together, their patented VIP® PLUS vacuum insulation cabinet construction and unique, long-lasting compressor design help achieve exceptional temperature uniformity. 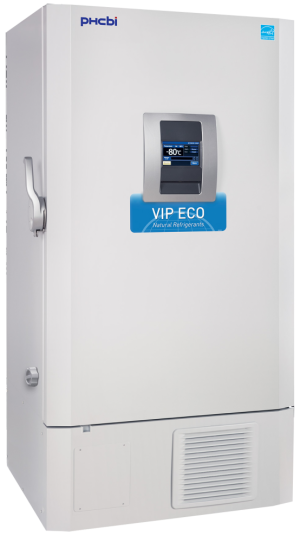 The recently redesigned heat exchange and cascade refrigeration system increase the efficiency of the cascade cooling system and reduce the energy consumption without compromising the units overall performance. These ultra-low temp freezers maximize storage capacity within a space-saving footprint, therefore keeping overall operating costs to a minimum. 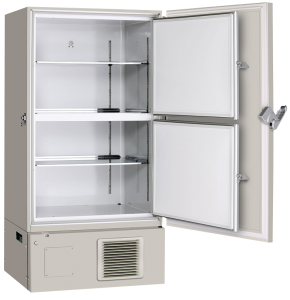 In conjunction with optional liquid nitrogen or liquid CO2 back-up systems, the MDF-U76VC-PA ULT Freezer offers a long-term storage solution for repositories, hospitals, clinics and medical research facilities. Area Footprint (nominal): 9.51 sq. ft.
Easy-In/Easy-Out door latch for smooth, one-handed operation, positive seal against gasket. Padlock provision standard. 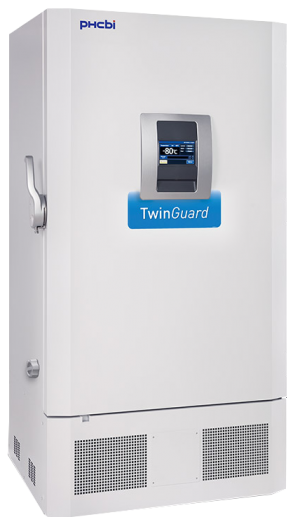 Integrated, microprocessor-based control system and LED display includes comprehensive set-point, alarm, monitoring, diagnostic and communications functions. 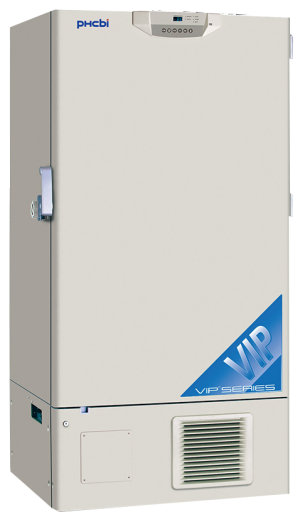 Insulated and gasketed inner doors seal inside to offer additional protection and improve uniformity. Inner door latches are standard. Doors can be easily removed for defrosting. 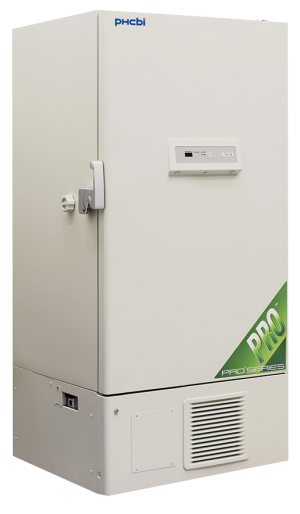 Front access to washable, electrostatic condenser filter for routine condenser air filter cleaning. High impact, recessed casters and leveling feet simplify installation. 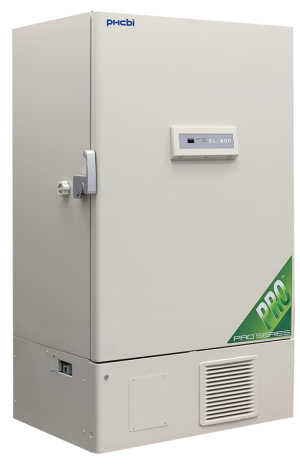 New generation PHC designed Cool Safe compressors are specifically designed for low temperature applications. Multiple access ports permit insertion of independent probes, instrumentation or liquid N2 or liquid CO2 back-up injectors. 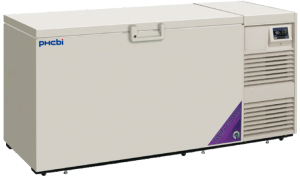 Commercially available HFC-refrigerants are highly efficient, environmentally safe and no ozone depleting. Remote alarm contacts and optional communication port available; see accessories.